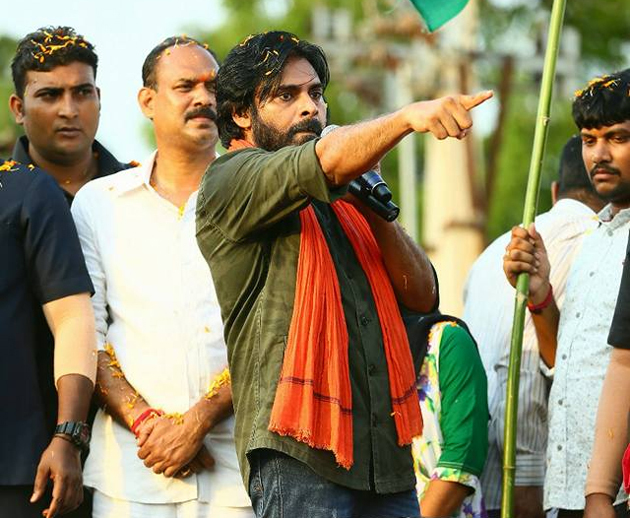 Why Pawan Kalyan has again declared a pause to 'Jana Sena Porata Yatra' ? Sri Ramachandra Murthy June 11, 2018 07:00 IST Why Pawan Kalyan has again declared a pause to 'Jana Sena Porata Yatra' ? As per latest report Jana Sena President is touring all districts of Uttarandhra and has already finished in Srikakulam and Vijayanagaram. Previously last week, Pawan Kalyan took a 2 day break when he was in Araku. Meanwhile although his party men claim there were some technical issues, Pawan has been drawing criticism for regular viramas (breaks). Accordingly until now, Pawan Kalyan's Uttarandhra tour has been regularly irregular with sudden breaks and unplanned halts. Meanwhile on that note, political pundits are memorizing how the legendary Sr NTR toured united Andhra incessantly when he forayed into politics. Sources added that Pawan's yatra has been halted till Ramzan and will recommence after the festival. Pawan declared a break to his personal staff for Ramzan as most of them are Muslims, according to his party Media In-Charge P Hari Prasad's press note. Moreover after wrapping up Yelamanchili meeting on Friday, Pawan Kalyan has reached a private resort near Rishikonda to take halt. Media reports added that on Sunday & Monday, the actor turned politician will be holding internal meetings with intellectuals of Vishakapatnam to learn about the backwardness of the region and spread awareness among Janasainiks. Furthermore Pawan will fly to Hyderabad from Vizag on Monday evening.